CardMonkey's Paper Jungle: It's a BLOG HOP to celebrate the birthday of a great 16-year old! 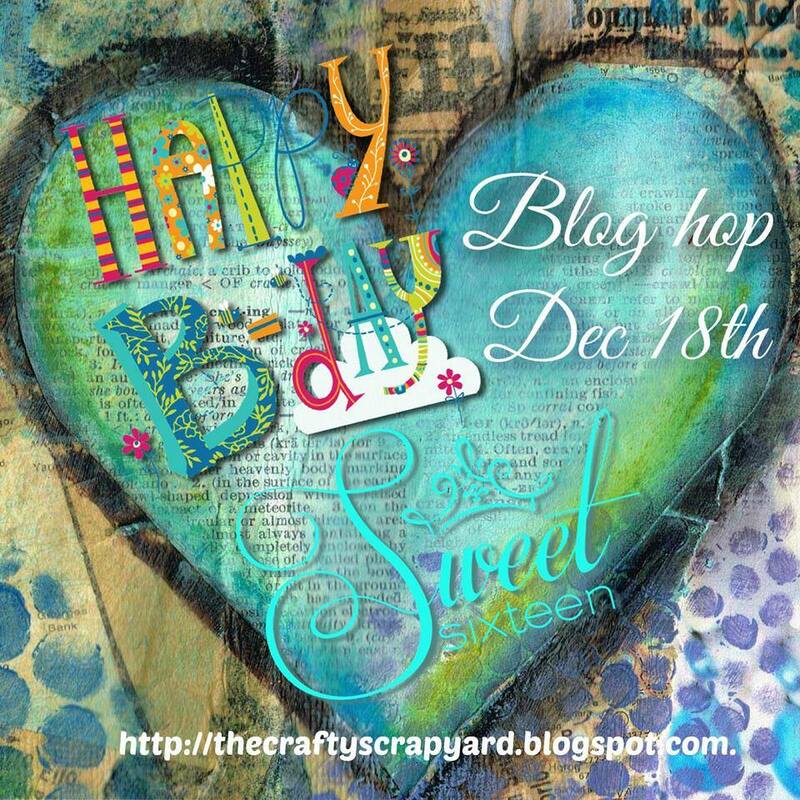 It's a BLOG HOP to celebrate the birthday of a great 16-year old! Welcome to the very special celebration of the birthday of a VERY sweet 16-year old young woman. Her name is Emily (like my own daughter) and she is the daughter of my friend, Beth. Over my 5-year (!!) course of blogging, I've met many, many crafting colleagues who I now consider friends. Several of these are women who joined me in "Banner Hops" where we made special occasion banners -- Halloween, Christmas, and Spring -- for children at a long-term care facility where I used to work. One of those women, Beth McGee and her young daughter, Emily, made beautiful banners many times, and generously donated them to the kids in need of special love. If you're a long-time follower of my blog, you know I've made several of these cards. They're spectacular to receive, and often become real keepsakes. And they're really not that hard to make. If you'd like to see the template I've developed for them, just scroll down to the word-cloud (index) at the bottom of my blog and look for "pop-up cards". Click there, and you'll be taken to other examples, as well as the template. So now what's a blog hop without blog candy, right? Last week, I taught a really fun class in which students made 7 Christmas cards using the beautiful CTMH White Pines Scrapbooking Program cards, CTMH Poppy Twine and CTMH Red Enamel gems. One of the cards was a pop-up. If you'll be so kind as to leave a comment here on this post, and follow my blog if you'd like, one winner will receive the detailed printed instructions for the pop-up card, pictures of some of the pop-ups I've made, and the Close To My Heart products (mentioned above) I gave to my students to make the set! The products have a value of about $15, and the directions are ... priceless, of course. Again, the only requirement for my blog candy is to leave a comment on this blog post; follow my blog only if you'd like to. You should have arrived here from THIA's blog so your next stop is at JANIS's blog. CLICK HERE to be taken directly to Janis's blog post. If you came to my blog just to see what's up and would like to see more cute cards for Emily's 16th birthday, go back to Beth's blog at the start of the hop. Beth (Emily's Mom) has GRAND PRIZE blog candy that you'll not want to miss! 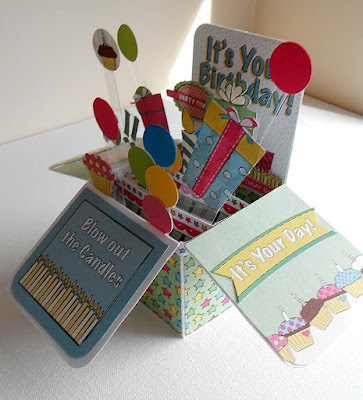 Like box cards & what a fun packed with birthday wishes galore card you've made. Happy 16 Birthday to Emily. Ellen, I am a new follower and have been searching for CTMH websites and blogs. 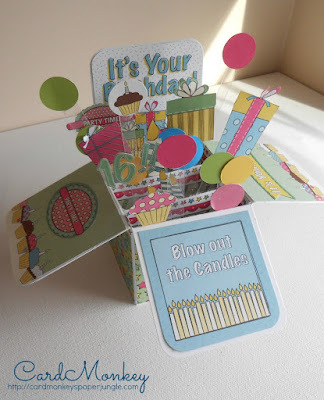 I to love making popup cards. Your is packed with popups. Love it. Thanks for sharing. Happy birthday, sweet 16 -- Emily! 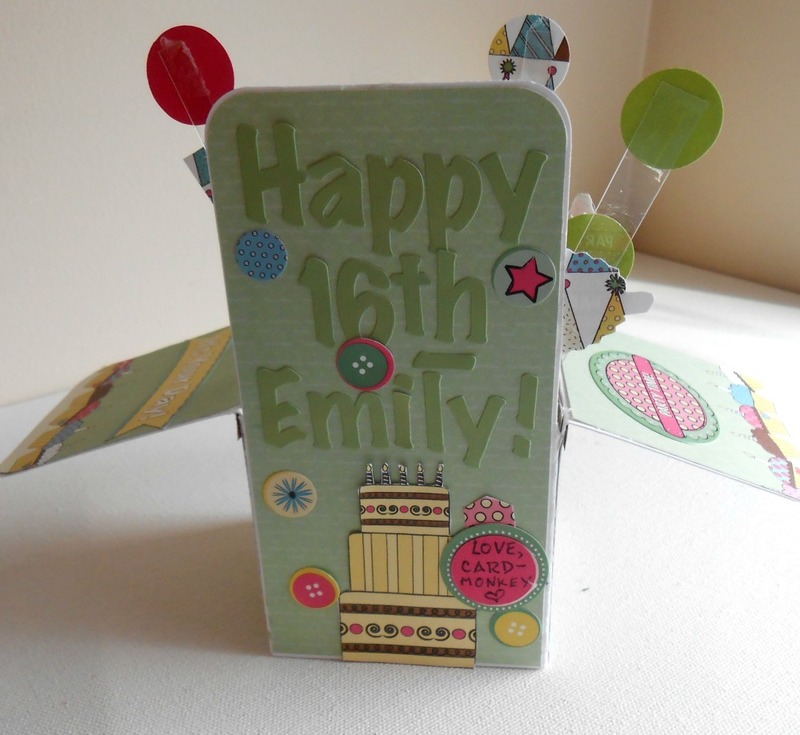 Happy 16th Birthday Emily - I hope you have many many more- A lovely box card just for Emily - lovely - tfs and for the hop have a blessed day! Wow, so much going on with this card! It's like a celebration in a box! Emily will absolutely love this! As usual Ellen, you create the most beautiful cards! I've seen quite a few of these boxes of yours and have been wanting to try one myself. I'm too afraid to though! It seems like such a huge daunting task to figure out! Lol! I really do need to just jump on it, they look like so much fun! very nice pop up card! So cheerful. I love box cards, and this one is wonderful! Perfect for Emily's 16th! This card is a work of ART!!!! Love all the elements - you really knocked it out of the park! Your card is amazingly! So much detail! I've wanted to make one of these cards since I first saw them - but it's still an idea in my head. Your gift would push me into making one of these cards. I think they are great for any occasion - and especially for a birthday. Emily will be thrilled when she sees her card. Your box card is awesome and I bet it will be kept by Emily. Thank you for sharing. What an honor to receive one of your box cards, Emily is impressed with how detailed it is and how long it must have taken to make. Thank you Ellen, for participating in this hop and celebrating Emily's 16th Birthday! Ellen, this is such a cute card. I love the elements that you used. You make such beautiful box cards. Every one that you make is so unique and gorgeous. Great job! !